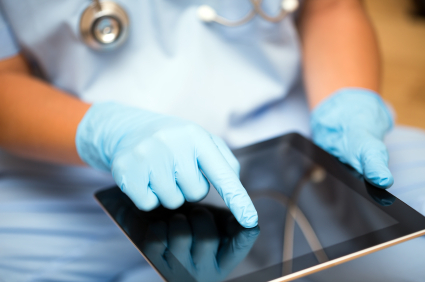 If Some of the Largest Hospitals in the U.S. are Using Social Media, Why Aren't You? How important is social media to healthcare marketing? Ask the professionals at the University of Michigan Health System, or the Nemours/Alfred I. DuPont Hospital for Children in Wilmington, Delaware, Brigham and Women’s Hospital in Boston, or the Cleveland Clinic, or a host of other large medical organizations and they’ll tell you that social media is at the root of their patient outreach. Learning from these remarkable organizations and understanding their social media methods can help you to grow your own physician social media outreach. The efforts are part of a larger movement to engage patients and families in care and enhance the hospital experience. The federal Medicare program is basing some hospital payments on patient satisfaction surveys, including questions about how responsive a hospital is to concerns. Similar surveys are being developed for pediatric hospitals. With social media, a hospital can cast a wider net for more feedback than it can expect from a traditional patient and family council composed of a small group of appointees who meet once a month or so. Social media outreach has broken down barriers, so that parents who want to get involved or patients who want to stay connected but have limited time or abilities, can still connect, become educated, stay involved and assist in making hospital procedure better through social media. There have been amazing benefits to both patients and hospitals through these social outreach programs, including an improved checklist of ways to console families at the C. S. Mott Children’s Hospital, appointment reminders via text message at Nemours Children’s Hospital, and complex scheduling. With social media outreach to patients, parents and families, the possibilities for improved care and enhanced hospital procedures is limitless. These strategies can easily be transformed and integrated into your own small practice social media outreach. Just as these large medical organizations utilize social media to better the patient experience, so to can your practice, no matter what the size. 1. Break Down Barriers – One of the greatest benefits of social media patient outreach is the ability to break down all barriers. Your patients have access to your staff, or your social media agency, at all times for questions and concerns. Give them the resources to ask the questions they need, whether that’s an open-platform Facebook Wall, an app, or direct messaging. Make it easy for your patients to voice their concerns, or praise, when they need to. 2. Questionnaires and Surveys – You probably notice that after an online purchase, no matter what the e-commerce company, you receive a questionnaire asking how the process went and if you were satisfied. Your medical practice should instill the same type of process not only to determine if the patient was satisfied, but to gain some insight into how that patient was treated, and what suggestions that patient has for future success. And, most importantly, use that information to make your practice a better place – improve patient satisfaction! 3. Be Proactive – Engaging with patients on social media is one thing, but actually putting their suggestions and advice into action is a totally different story. As the remarkable teams at C. S. Mott Children’s Hospital and Nemours Children’s Hospital have done, take what your patients are telling you and find a way to improve the patient experience based on what they’re saying. Social media has opened the doors for so many possibilities! Let the team at Quaintise get you started!